Collins Booksellers - 12 Biggest Business Mistakes Women Make by Dimeji Olutimehin, 9781386704348. Buy this book online. We want more women to build great businesses, but it seems we have to first overcome the mistakes they make when they start a business. We believe if these mistakes are resolved, women will build lasting businesses. Women enter into business to survive and not to thrive. They have been conditioned to believe that a man is the one to build a business in order to provide for the family. we debunk that myth in this book. 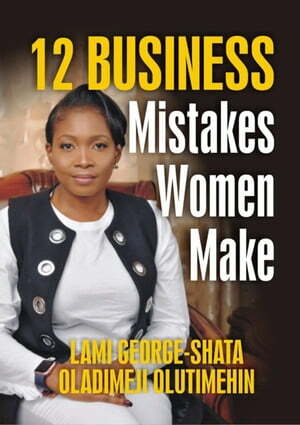 In this book, women will learn about the 12 mistakes they make that make them unable to build a great business.